I think this is just the loveliest idea.. I adore personalised gifts they're so thoughtful and cute! my parents like the odd tipple; in particular a drop of whiskey so I was really excited to make them their own bottle as a little surprise! 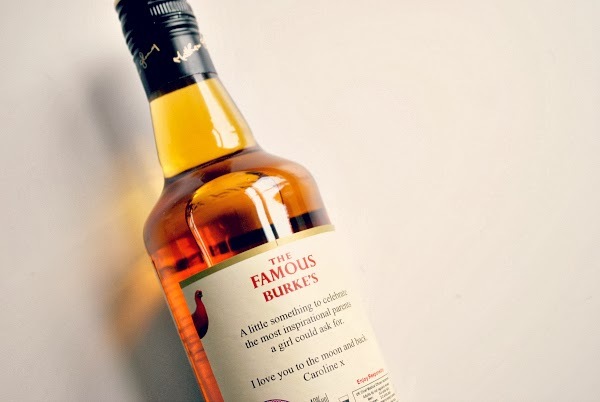 it's incredibly easy to do (not even I could manage to mess this one up) simply choose the name for the front label and enter a personal message on the back and voila you've created your very own special bottle! you can make and view your own label here -it's easy peasy and it all comes in a nice presentation box.. winner! a perfect christmas surprise for your loved ones, it gets a big thumbs up from me (thanks mr grouse) I can't wait for mom & pops to open this! I'm so glad I snapped up this primark clutch! a simple clean oversized bag that looks so much more expensive than it's price tag.. 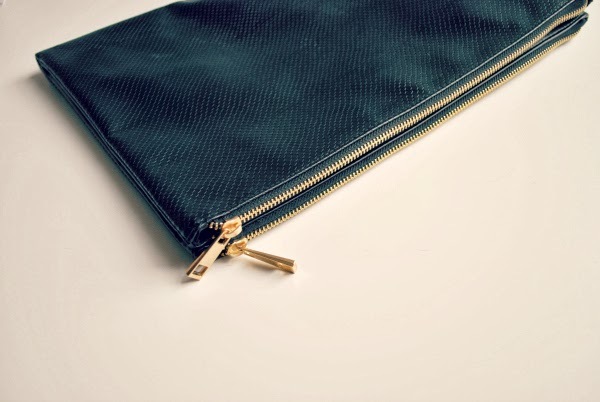 I adore the double zip feature and the two big compartments are perfect for separating my make up and lip balms from my keys, wallet and essentials. you can't beat primark for steals like this, I may just snap up another for one of my friends. I absolutely love kukee! it's one of my favourite sites (I've been buying from them for the last year and have always been impressed with their products) for seriously affordable fashion jewellery I've struggled to find better! 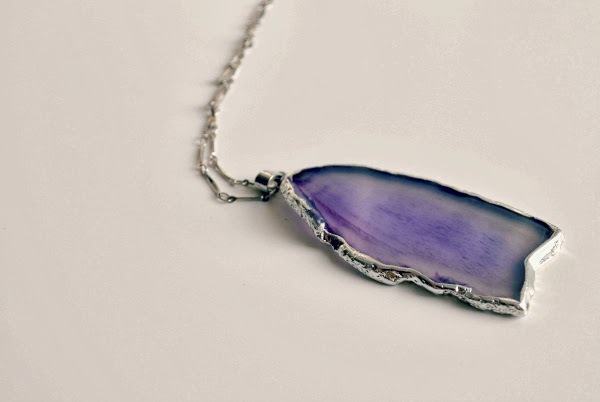 to celebrate their new website launch they've sent me a few pieces to share with you. 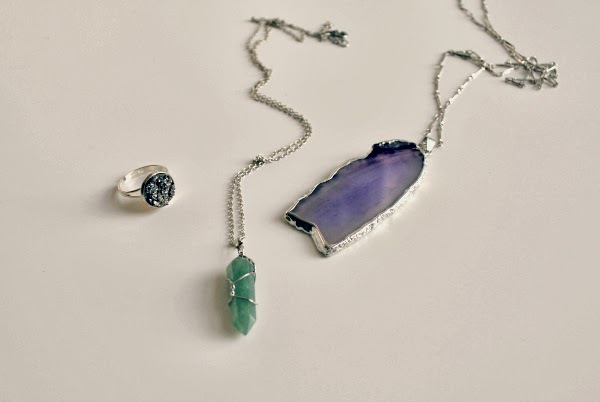 the green aventurine necklace (just £6) is something I'd wear daily as well as the druzy ring. their entire gemstone range is pretty dreamy as each piece is slightly unique and quirky..
this may just be my FAVE glitter polish to date! 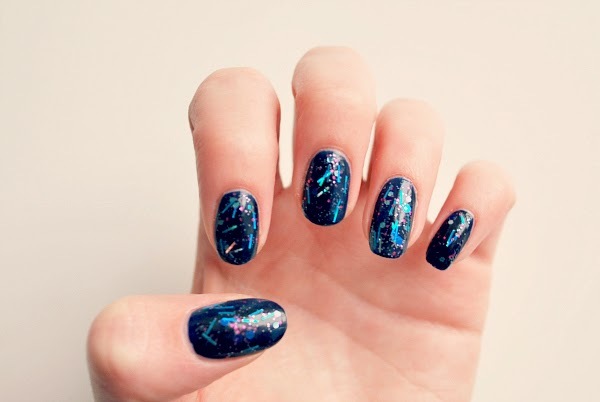 (I have a rather embarrassing amount of nail polish so I don't say this lightly) this is a lovely formula, glitter heavy so only one coat over a coloured polish gives a beautiful firework effect. I've worn it over my go-to winter shade models own 'in the navy' but I can't wait to try it over a plain white polish too! I can never capture glitter polishes in all their glory on camera but trust me this looks lovely in the flesh! how are you all getting on with your christmas shopping... are you tempted by any of these? Your nails look gorgeous, and I love the look of all the jewellery! Everything here is beautiful! Love the festive nails! 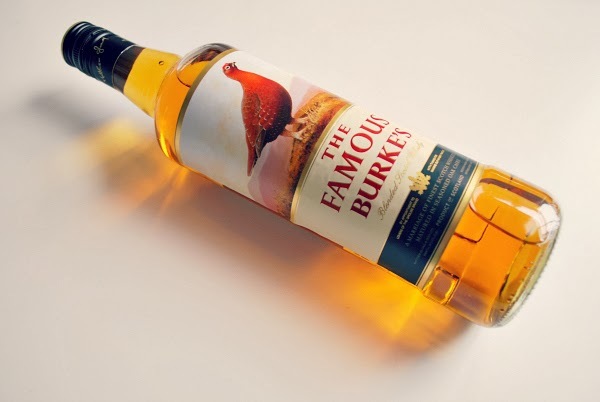 That personalised bottle of whiskey is the perfect present for anyone who likes that kind of thing!